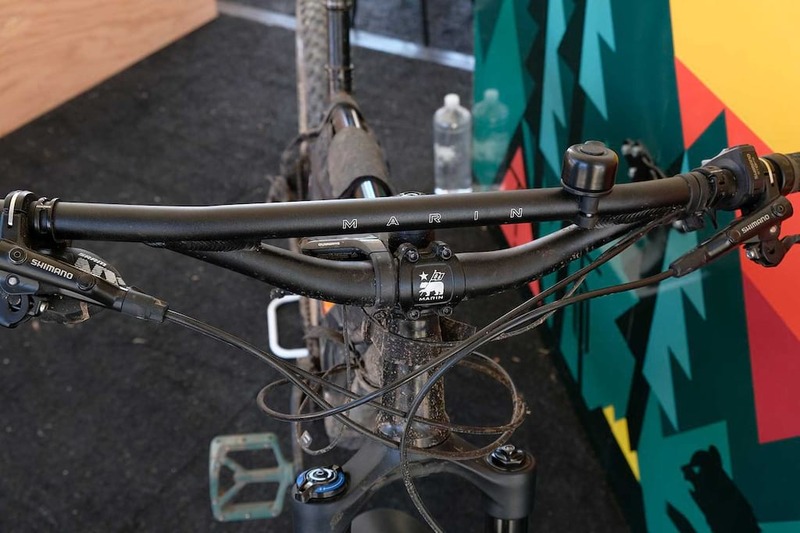 Hidden (in plain sight) at the Marin booth at this year’s Sea Otter was a muddy-looking Marin adventure bike. 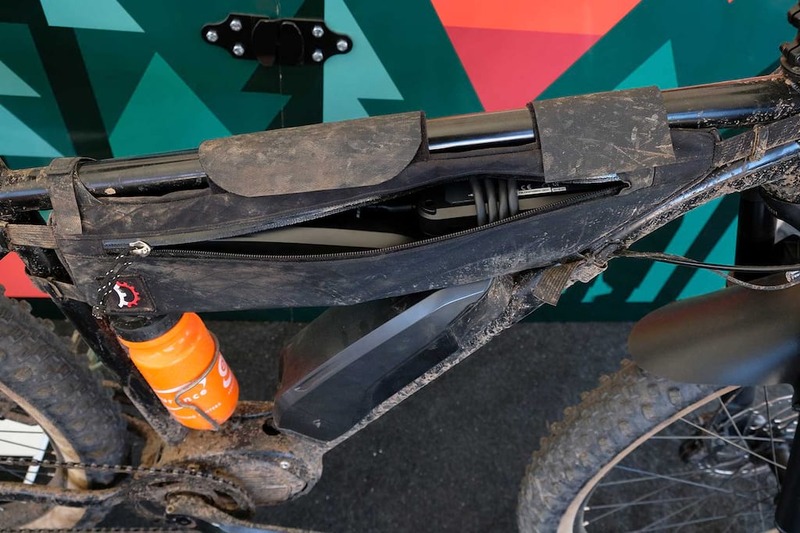 Look closer though and it proved to be an e-bike hardtail. Look even closer and it was obviously made from steel. 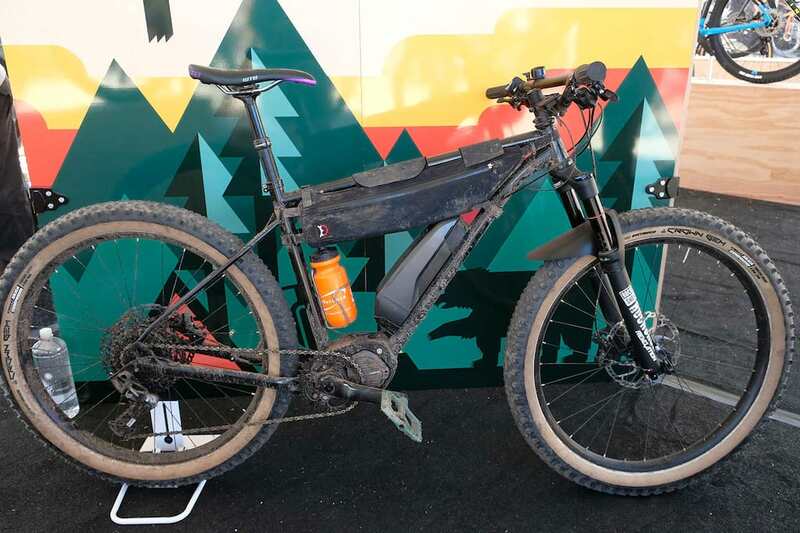 The Marin steel e-bike was set up as a sort of backwoods adventure bike, with luggage (that held a spare battery and a charger…) and some Marin-logo klunker-style handlebars that not only look the part, but which allow a ton of space for your GPS, lights, bell and other accessories. 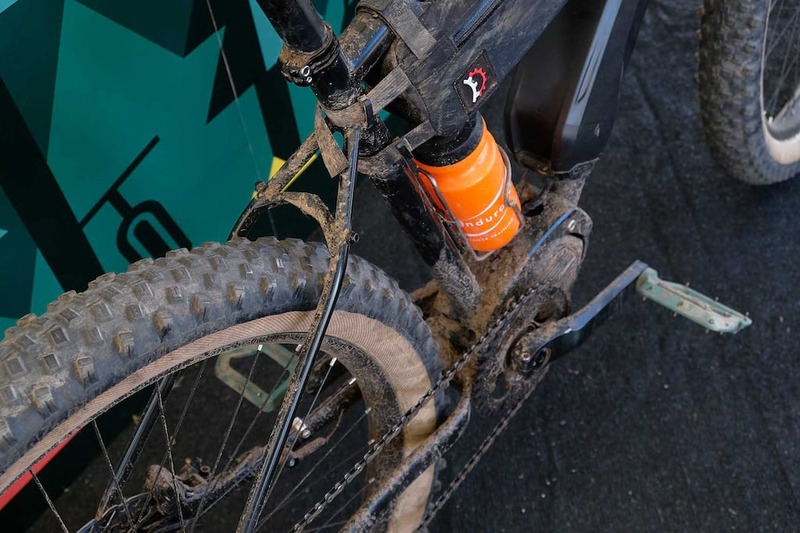 Even with some Vee Tire Crown Gem plus tyres, at 27.5 x 2.8in, there was a ton of room, suggesting that running a chunky 29in set up would also be possible. 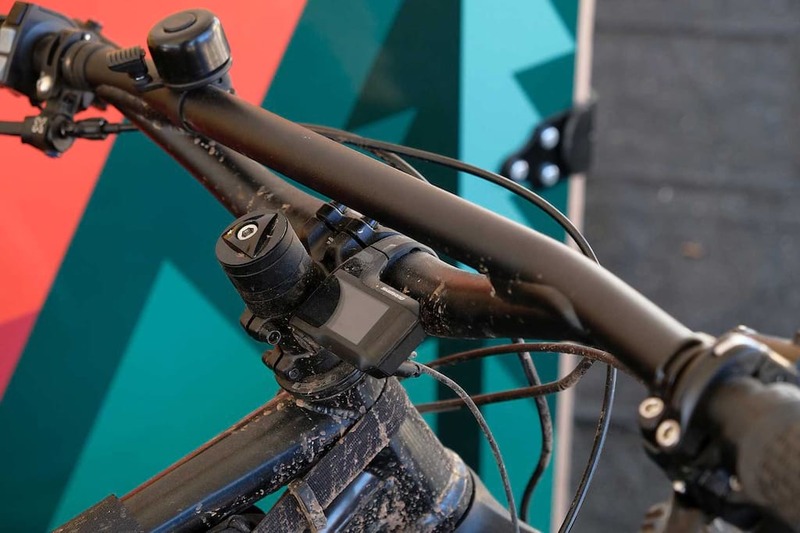 The bike itself runs a mix of SRAM NX off the Shimano motor up front. 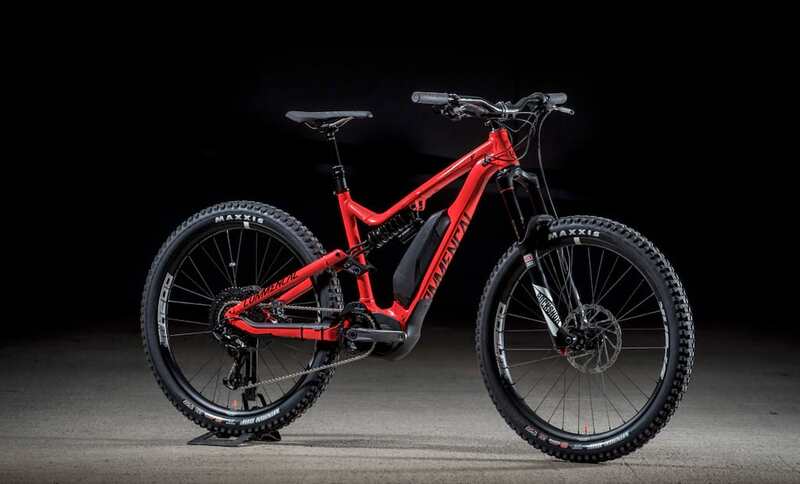 There are Revelation forks and an X-Fusion dropper, so it suggests that the bike won’t be stupid-expensive. 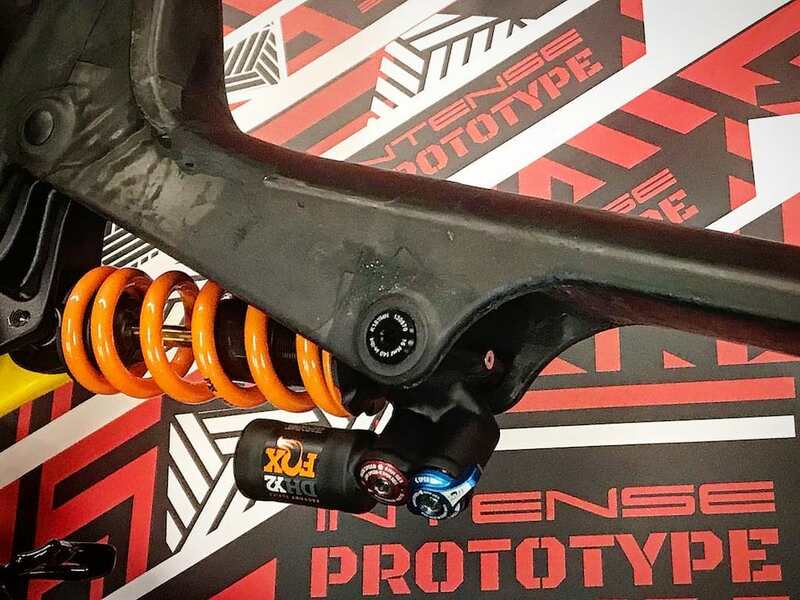 Perhaps it’ll appeal to riders who want an affordable steel hardtail, but who have aspirations of some backcountry adventure. Think of how many bells you could fit! 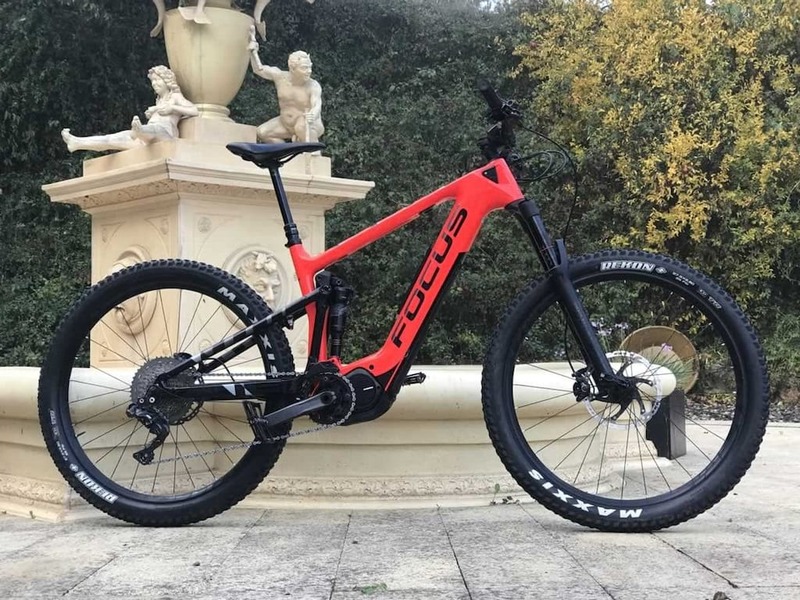 A quiet word with one of the Marin employees confirmed that this isn’t just a one-off and so we can definitely expect to see production versions of this quirky machine, though they wouldn’t confirm when. 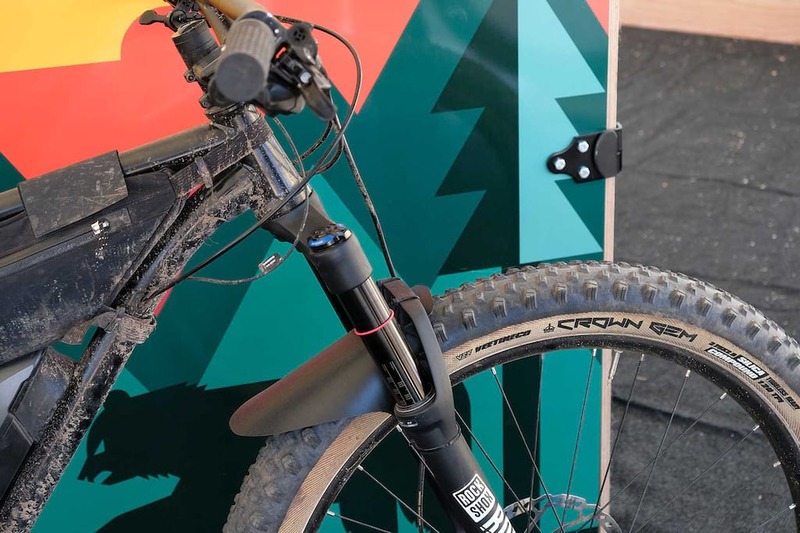 There were a couple of other bikes hidden around the stand too, so stay tuned to grit.cx and Singletrack for those. What do you think? 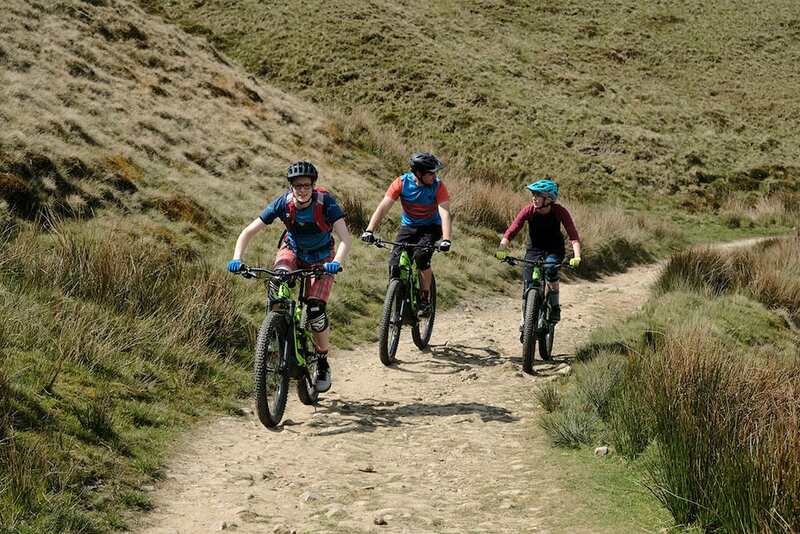 A good help for a bit of loaded bikepacking? Or is Marin missing the point of all this self-propelled wilderness adventuring?